Mommy | We Can't Hear the Mime! 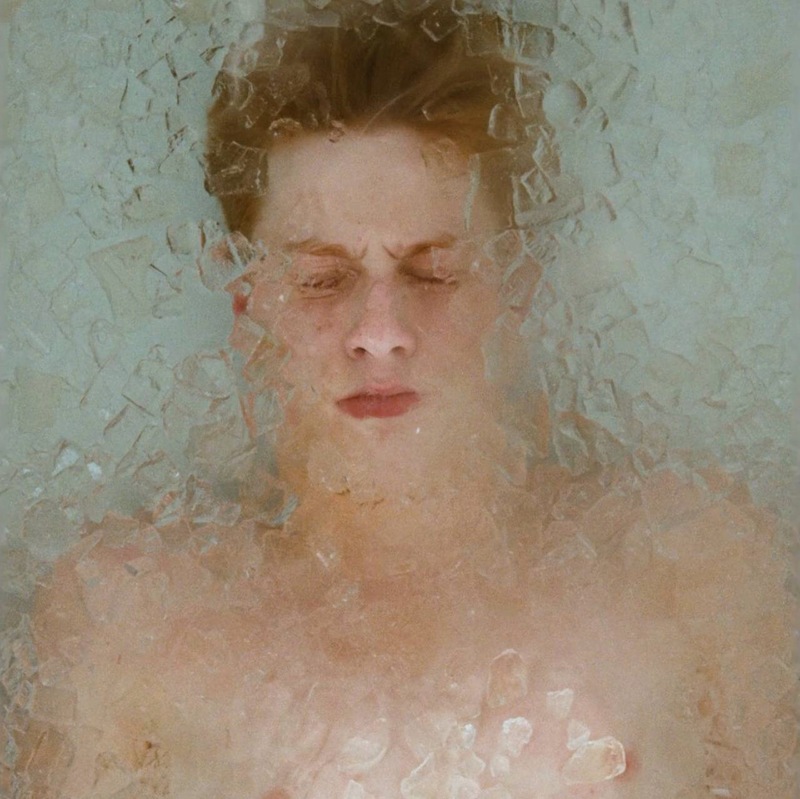 Last but definitely not least in Xavier Dolan’s filmography comes Mommy. This film takes up thematic threads that have been present throughout Dolan’s work, the wayward teenager, the insufferable mother, and adresses then with a new skill and maturity. Yes, the relationship is just as tense and difficult as it was in J’ai tué ma mère but it feels more genuinely troubled. The fights come from a place of suffering, a grieving widow against a mentally ill child, rather than a precocious queer kid rebelling against his emminently middle class mother and life. The most openly striking thing about this film is the bold aesthetic choice of a 1×1 aspect ratio, a perfect square. The viewer is so used to a horizontal plane in the cinema, even the famously square and boxy academy aspect ratio was still only 5×4, that this 1×1 screen looks almost like a portrait framing. It does take a while to get used to, but like the splitscreen in As I lay Dying (James Franco), it’s only irritating for a few minutes before it becomes interesting. In this case it serves to enclose the characters visually, just as they are stuck physically in their suburban houses and emotionally in their fragile states.The film very quickly becomes a three-hander character study. Antoine-Olivier Pilon plays Steve, a sixteen-year-old with ADHD and, one suspects, many other problems, who’s just been kicked out a specialist school having seriously injured another child in a fight. His performance is very delicate for a role that could be described as nothing more than crazed violence and grimacing. 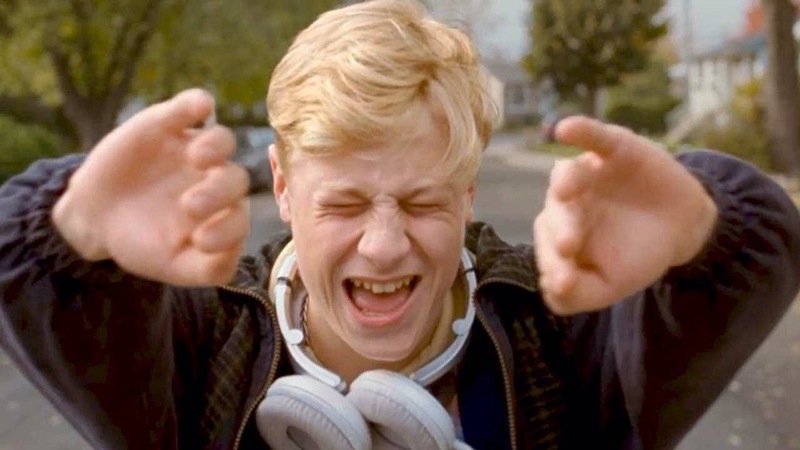 Pilon’s performance, however, allows you to see a gentle, caring side to Steve – even if that caring is expressed in a creepy lack of boundaries and oedipus-like adoration of the two mother figures in the film. These two mother figures are played by Anne Dorval, playing Diana ‘Die’ Steve’s actual mother and Suzanne Clément, playing the disturbed and bereaved mother from across the street. We’ve seen both of these women before in Dolan’s films and their performances are still excellent. This is especially true of Clément, who is almost unrecognisable between her role as the wild and rebellious Fredérique in Laurence Anyways and the shy, stammering housewife she plays here. She demonstrates a great range as an actress once again imbuing her role with a depth beyond what even the, very good, script gave her. While the issues between Steve and Die are discussed and analysed and shouted through in fights of varying severity the balance that Kyla (Clément) brings into their life is based on silence. It’s a fitting role for the woman dealing with a stammer and an inability to speak after the death of her son. We never find out what happened to this son, and Kyla refuses to speak of any topics that approach it. Throughout the film, the less is said of something, the more is understood. We know that Kyla is educating Steve to fill the hole left by her job as a teacher and the death of her child. Steve knows that Kyla needs to get out of her house, where she regresses into a stammering mess, confronted with what remains of her family. Mommy doesn’t really have a plot, the final scenes are foreshadowed by the introductory intertitles and so there’s no suspense. Instead we are treated to an all-encompassing chronicle of moments between these three characters and their unstable relationships with each other. The greater part of these relationships passes in what is screamed in anger or unsaid, only very rarely does the conversation and emotion flow freely. At these moments Dolan has recourse to his directorial tricks. Often this is done through the soundtrack, and the film seems to almost lapse into a cheesy music video, awkwardly but effectively giving these stunted feelings a voice. Yet twice in the film Dolan changes aspect ratio allowing Steve to literally open the world back into a glossy cinematic montage when life is going well. These moments of unbridled joy are a pleasure to watch, but like any cinematic experience, they too must end and reality close back in. This entry was posted in Film Reviews, Personal Screen and tagged Anne Dorval, Canadian Cinema, Mommy, Palme d'or, Suzanne Clément, Xavier Dolan on July 23, 2015 by Flo.